Switzerland - It is believed that millions are currently victims of trafficking in persons around the world. It is almost impossible to think about each one of those numbers as individual human beings and it can feel like an insurmountable problem. But it isn’t. And on this World Day Against Trafficking in Persons we must believe that not only can we make a dent but that we can make significant inroads into eliminating it. At the International Organization for Migration (IOM), the UN’s Migration Agency I head, we deal with trafficking in persons on a daily basis. We know that trafficking involves more than kidnapping and selling of persons, people forced into jobs against their will, and victims forced to give away a kidney or other vital organs. Trafficking in persons can occur ever so subtly as in cases of employment pathways, where workers are charged for recruitment and placement fees, have their wages withheld, or cannot leave their employers and thus are put into vulnerable situations where they are further exploited and become trafficked. Migrants travelling on regular or irregular migration routes around the globe are highly vulnerable to these kinds of abuses. Many who start their journeys by willingly placing themselves in the hands of smugglers can also become victims of trafficking along the way. In addition to our and our partners’ hands-on work in providing protection and assistance to already some 90,000 victims of trafficking over the years, we are working tirelessly to collect and analyze global data on trafficking so that we can collectively improve and implement the best practices and inform policies and programmes to better address trafficking in persons. For instance, since 2015, IOM has surveyed over 22,000 migrants on the journey on the Eastern and Central Mediterranean routes. This is the largest-scale survey yet to explore migrants’ vulnerability to trafficking and exploitation on the Mediterranean routes to Europe. Around 39% of individuals interviewed had a personal experience that indicates the presence of trafficking in persons or other exploitative practices along the route with many reporting direct experiences of abuse, exploitation and practices which can amount to trafficking in persons. Looking at just the Central route, a shocking 73% of those interviewed indicated this. 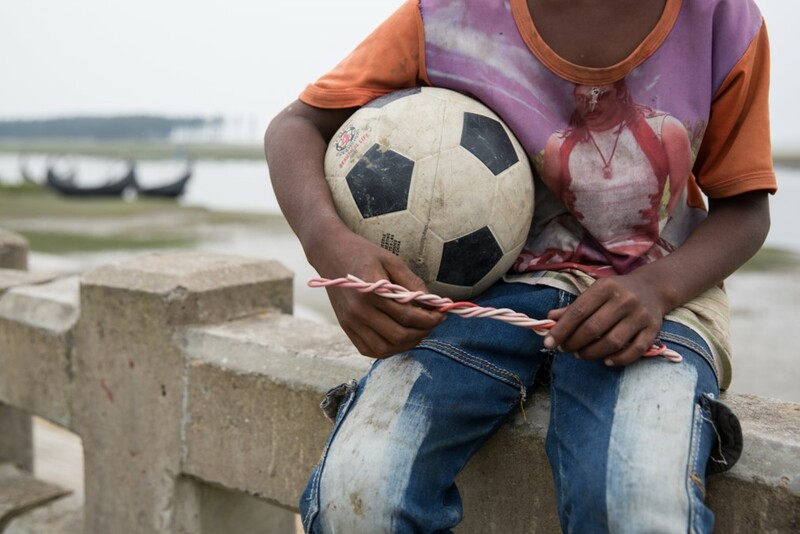 With this research IOM is currently exploring which factors predict migrants’ vulnerability to human trafficking and exploitation on their journey. It is also our goal to facilitate cross-border, trans-agency analysis and provide the counter-trafficking community with the information we need to develop a more comprehensive understanding of this complex issue. To this end, we will soon be launching the Counter-Trafficking Data Collaborative. Drawing on IOM’s and partners’ victim case data, this will be the first ever open access data platform for human trafficking data. As we develop new knowledge and tools, it is critical that we share our findings and communicate with other global leaders. This September, in an effort to develop the “Global Compact on Safe, Orderly, and Regular Migration,” governments will come together to discuss smuggling of migrants, trafficking in persons and contemporary forms of slavery, including appropriate identification, protection and assistance to migrants and trafficking victims. This will be our chance to share our expertise learned from decades of research and practice in this field and to learn from others. We are learning more, and understanding how to better respond to trafficking in persons, yet there are still many unanswered questions. What makes migrants susceptible to trafficking? What do we know about those being trafficked now? And how do we best stop it from occurring in the future? We may not have all the answers yet, but we do know that we must now accumulate the data and knowledge we have and make it transferrable so that we can all benefit from it. We do not know everyone who could be at risk but we do know we need to make migration safer, more orderly, and more regular to make migrants less vulnerable. We do not know the exact number of victims of trafficking, but we do know it’s far too many. The fight against trafficking in persons requires us to strive for answers to our many questions. It requires us to better respond, with shared data, knowledge, and tools, and it requires us to respond together.